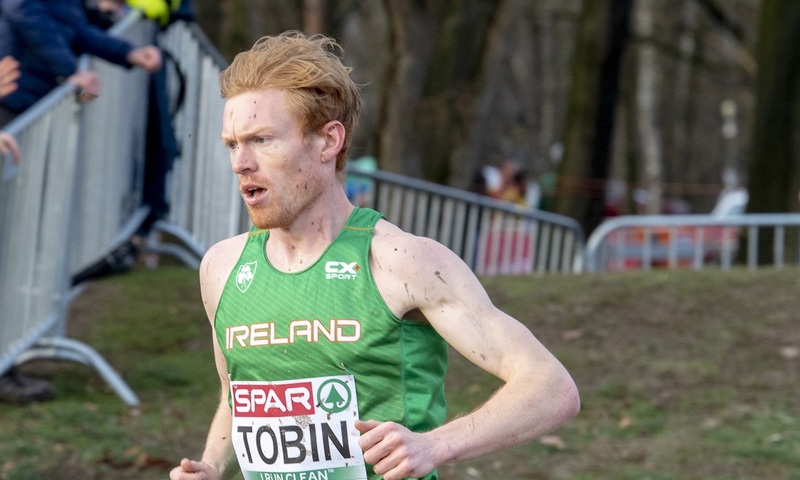 A preview of the senior men’s race ahead of the World Cross Country Championships in Aarhus, including the battle for gold, and a look at the British and Irish runners competing. Whether it’s on the flat terrain of Copenhagen, around a horse-racing circuit in far-flung Guiyang, along the rain-drenched roads of Cardiff, in the altitude of Kampala, or on the windy streets of Valencia, for the past five years Geoffrey Kamworor has spent the last weekend of March winning world titles. 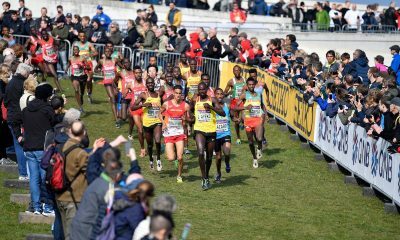 This Saturday (March 30) – as more than 150 athletes from 54 nations line up for the final race at the IAAF World Cross Country Championships in Aarhus, Denmark – the Kenyan will be looking to add to his cross country titles from 2015 and 2017, and his half marathon wins from 2014, 2016 and 2018, to become the first athlete to complete senior hat-tricks at both championships. But despite his dominance in recent years, the 2017 New York Marathon winner might not even be favourite for cross country’s biggest prize this time around, having finished just fifth at the Kenyan trials five weeks ago. Not that Kamworor will be worried about that. He didn’t win the Kenyan trials in the run-up to his 2017 World title. Nor did he win Kenyan gold in 2015! He didn’t even win the Kenyan junior trials in 2015, the year he took the under-20 crown. Indeed, it could be argued that it’s against Amos Kirui, the Kenyan trials winner, that the odds are heavily stacked. Paul Tergat was the last senior man to win both the Kenyan Championships and the World title in the same year, way back in 1996! Joshua Cheptegei came close to becoming the hero of the hour in front of the home crowd in the Ugandan capital in 2017 after one of the most inspiring, if heart-breaking, performances in World Cross history. Leading by 11 seconds heading out onto the last lap and still in full flow, Cheptegei looked certain to be about to land Uganda’s second title of the day; Kamworor looked destined for silver. But then, heading into the final kilometre, everything changed. Cheptegei ran out of steam in dramatic fashion, and as Kamworor surged to the title, Cheptegei went backwards, in the end stumbling home in 30th place. The Ugandan crowd, who just moments earlier had been in jubilant celebration, were abruptly silenced. The young Ugandan quickly put the heartache behind him, and later in 2017 finished a sublime second in the 10,000m at the World Championships in London, and won both the 5000m and 10,000m Commonwealth Games on the Gold Coast last year. A world title in Aarhus would, however, be the ultimate redemption! Cheptegei, like Kamworor, didn’t win his trial race, and has played second-fiddle this winter to his young compatriot Jacob Kiplimo, who won the under-20 race in Kampala two years ago to become Uganda’s first ever World Cross Country gold medallist. 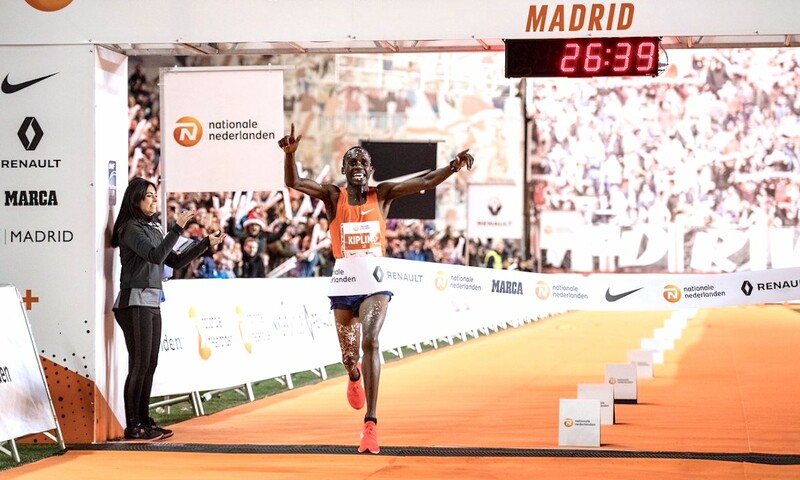 Kiplimo has won IAAF Permit races in Burgos, Goria and Seville already this winter, and if his world junior title didn’t bring him widespread notoriety, his 26:41 at the San Silvestre Vallecana 10km in Madrid on New Year’s Eve certainly did. While the time – the fastest ever achieved on the road – doesn’t count for record purposes due to the downhill nature of the course, it did knock 13 seconds off the course record set by Eluid Kipchoge in 2006. Kiplimo will be looking to join Kamworor on the ever-growing list of athletes who have won World Cross titles in both age categories. If form over the past few months is anything to go by, he may start as favourite. Kirui, the Kenyan Champion and trials winner, is the 2016 world under-20 steeplechase champion. Other Kenyans of note include Evans Keitany Kiptum, runner-up to Kirui at the trials, and World under 20 10,000m champion Rhonex Kipruto, who won the IAAF Permit meet in Elgoibar in January. 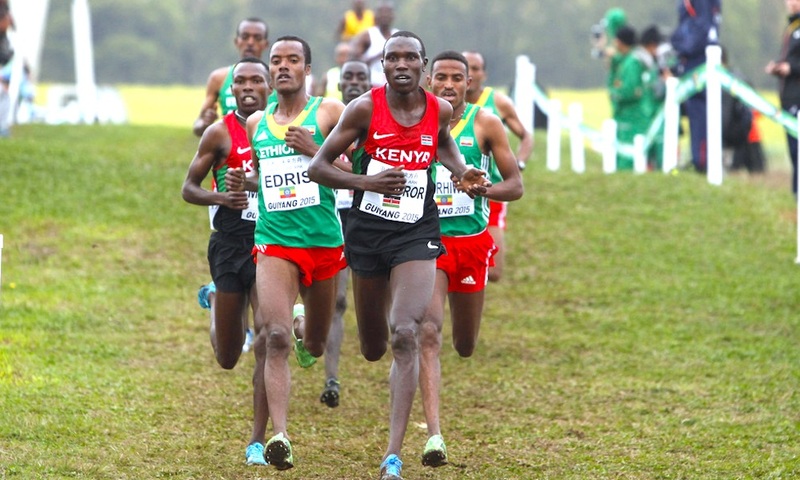 While the Kenyans and Ugandans are likely to be setting the pace and stringing out the field, as they’ve done in recent years, there are sure to be some Ethiopians among those lurking dangerously in the lead group. While neither Abadi Hadis nor Muktar Edris, the 2017 and 2015 bronze medallists respectively, race – indeed, Bonsa Dida, 10th in Kampala, is the sole survivor of the 2017 gold medal winning team – the team is far from lacking in star quality. Selemon Barega finished second to Kipruto in Elgoibar earlier this year. The 2016 World under-20 5000m champion and 2018 World Indoor 3000m silver medallist, was the fastest over 5000m last season, and is certainly one to watch. With a 12:43.02 personal best on the track, the other big names will want to have killed him off long before they make the final turn to the finish. While the biggest track name on the team, Barega didn’t win the Ethiopian trials, finishing second on that occasion to the lesser known Mogos Tuemay. Third at the trials was Andamlak Belihu, 10th in the 10,000m at the 2017 World Championships and runner-up at the 2018 African Cross Country Championships. Aron Kifle (Eritrea) joins Kamworor and Dida as the only top ten finishers from the 2017 senior race on the entry list, though Kenya’s Richard Yator, like Kiplimo made the 2017 Junior Men’s rostrum two years ago. Kifle won bronze at the 2018 World Half Marathon Championships, finished seventh in the 5000m at the World Championships in 2017 and was second to Kiplimo at the IAAF Permit meet in Burgos in November. Bahrain’s Albert Rop, the Asian 5000m record holder, will be looking to improve on his 11th place from 2015. 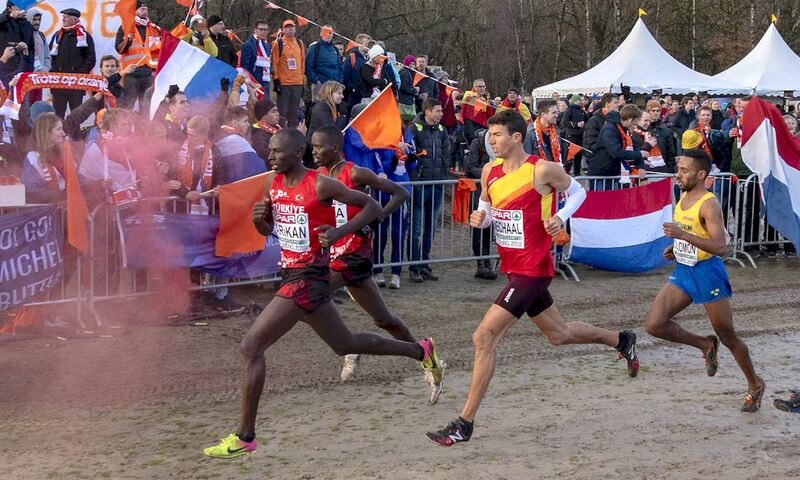 He finished third behind the Ugandan pair at the Seville IAAF Cross Country Permit race on 20th January. Shadrack Kipchirchir leads the USA challenge. Brett Robinson won the Australian trials. 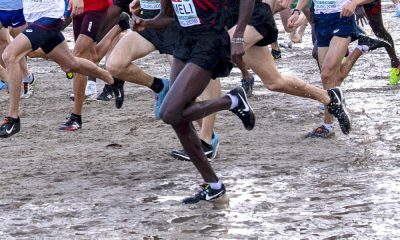 Aras Kaya (Turkey) and Napoleon Solomon (Sweden) who finished third and fifth respectively at the European Cross Country Championships in December are among the top Europeans entered. Peru’s José Luis Rojas is the South American Champion. And South Africa’s Rantso Mokopane won silver at the 2018 World University Championships. Kamworor has yet to win an Olympic medal. But the title most surprisingly absent from his glistening collection is the World Cross Country senior team title. The Kenyans finished a single point behind Ethiopia last time out and lost out to their East African rivals only on countback in 2015. If Kiplimo and Cheptegi make the podium, it might be Uganda, rather than Ethiopia, that stand between Kenya and their first team win since 2011. The young Ugandan stars will be ably supported by Joel Ayeko, the 2018 World Mountain Running silver medallist and Thomas Ayeko, silver medallist from the under-20 race back in 2011. The Ethiopians will, no doubt, run the most controlled race, and if the Kenya versus Uganda individual battle gets so hot it implodes, they will be ready to take their fourth consecutive team title. The USA, with a team largely comprised of East African-born runners, will also be looking to upset the party, and would dearly love to spring a surprise of the magnitude they achieved when the competition was last held in Europe, in 2013. They placed four athletes in the top 20 on that occasion and took team silver, two points ahead of the Kenyans. Bahrain too, will be in the mix. The British team will be expecting to be the first European team home, though with just Denmark and Spain to beat for that honour, they’ll be looking for more. There’s little to choose between the six athletes named in the team. Adam Hickey is the Inter-Counties champion and trials winner, while Mahamed Mahamed was an impressive winner at the English National Championships. 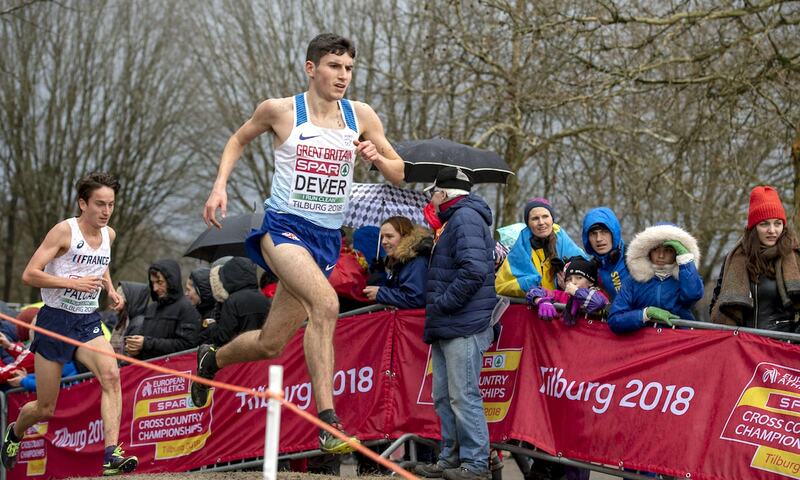 Patrick Dever, who finished fifth in the under-23 race at the European Cross Country Championships, came within millimetres of taking the BUCS title in February. 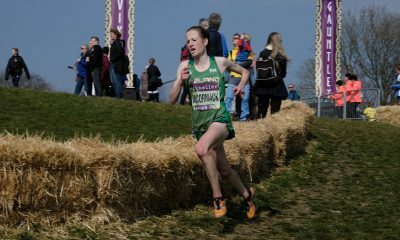 Ross Millington was runner up at the trials and finished seventh against an international field at the Campaccio Cross Country in Italy at the start of the year. Oliver Fox has shown impressive consistency finishing third at both BUCS and the Inter-Counties, while Luke Traynor will be looking to put his international experience to good effect. Anything in the top 40 will be a good individual result – a performance last achieved by Jonathan Taylor and Steve Vernon back in 2013. Without a team, Ireland’s Sean Tobin and Kevin Dooney will be looking to make a big individual impact. Tobin finished 10th at the European Championships, and he’ll certainly be looking to return Ireland’s best finish in almost a generation. The last time Ireland entered athletes in the senior men’s race was 2009. Mark Kenneally finished 68th on that occasion. The Irish duo competing on Saturday are unlikely to even remember the dizzy heights of 2001 when both Peter Matthews and Keith Kelly finished inside the top 30. Get ready for a battle of truly epic portions. This could well be the most nail-biting world title battle in some years. Kamoworor v Cheptegei v Kiplimo. Kenya v Uganda. Established star v young pretenders. World champ v world champ. And then throw in Barega, the 12:43 man, for good measure. These guys more than know how to put on a show! AND there’ll be both British and Irish men to cheer. 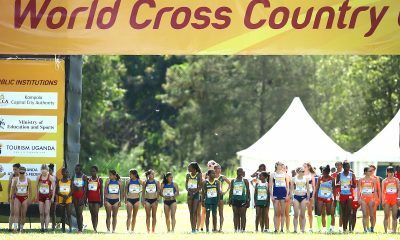 Keep an eye out for additional previews that will be published on Fast Running ahead of Saturday’s World Cross Country Championships.